When I heard the intro to this I though I'd selected Rick's debut single Never Gonna Give You Up by mistake! 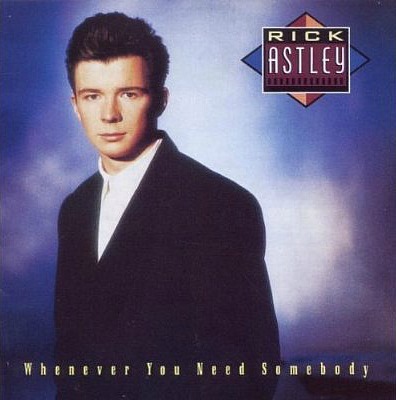 This song was the title track from Rick Astley's debut album, and it gave the English singer his second hit of the 80s, reaching #3 in the UK and breaking into the top five in many European countries, reaching No.1 in seven of them overall. Produced by Stock, Aitken and Waterman, the song was originally penned for the English singer O'Chi Brown and became a minor hit reaching #97 in the UK during 1985, but also reaching No.1 on the Billboard Hot Dance Club Play charts a year later in 1986. Rick' s version was also penned by S/A/W. The B-side of the 7" was Just Good Friends, and the 12" maxi single also included an instrumental version of the A-side and the Lonely Hearts Mix. 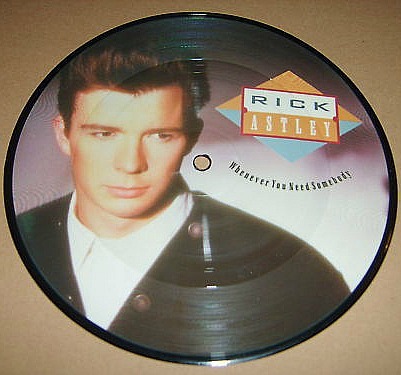 Rick's first album was re-released as a double CD in 2010 and features seven bonus tracks on CD1 and another 14 remixes and extended versions on the second disc. Originally released on 16th November 1987, Whenever You Need Somebody became the seventh best-selling album of 1987, and it remains the most commercially successful album for the singer. Two more singles were released from the album, both reaching #2 in the British charts; When I Fall In Love/My Arms Keep Missing You (double A-side) and Together Forever.